The Valley Heights Rail Museum is one of 50 free or low cost activities on offer for families, children and young people in the school holidays. 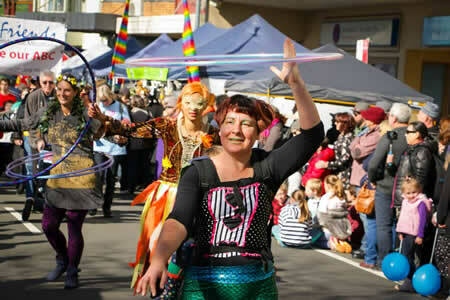 A revamped Blue Mountains Stronger Families Alliance website has all the information in one place. On the website usuers will find a school holiday calendar, listing the activities by age, location, cost and a link to each provider with more details and booking information. 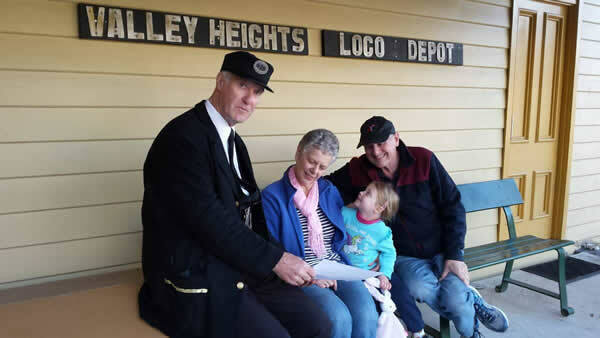 Keith Ward (left) presenting Winmalee residents Bruce and Louise Carr with grandchild Amy second prize of a Valley Heights Locomotive Depot Heritage Museum Family Pass, during the April school holidays Stronger Families Alliance competition. Page Updated: Wednesday, 07-Nov-2018 14:07:21 PST.